Dr. Ben Bond-Lamberty, terrestrial scientist at Pacific Northwest National Laboratory (PNNL), has been appointed to the Environmental Research Letter's Reviews Editorial Board. Bond-Lamberty works in College Park, Maryland, at the Joint Global Change Research Institute, a collaboration between the PNNL and the University of Maryland. Environmental Research Letters is a free-to-read journal that brings together intellectual and professional scientists, economists, engineers and social scientists, as well as the public sector and civil society to understand the state of natural systems and, increasingly, the human footprint on the biosphere. Bond-Lamberty's research covers carbon and nutrient cycling in terrestrial ecosystems, particularly (but not exclusively) high-latitude northern ecosystems. 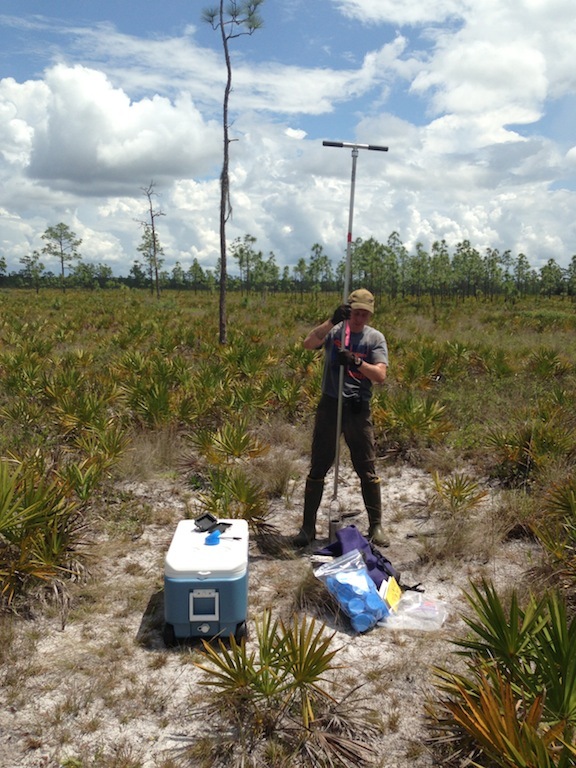 As a forest ecologist with training in a variety of field, lab, and modeling techniques, he is interested in several broad areas: disturbance effects and forest stress, ecosystem respiration and multiscale modeling. He has a Ph.D. in forest ecosystem ecology from the University of Wisconsin-Madison, and is also a section editor of PLOS ONE.